Freedom is important to Matthew Miller. 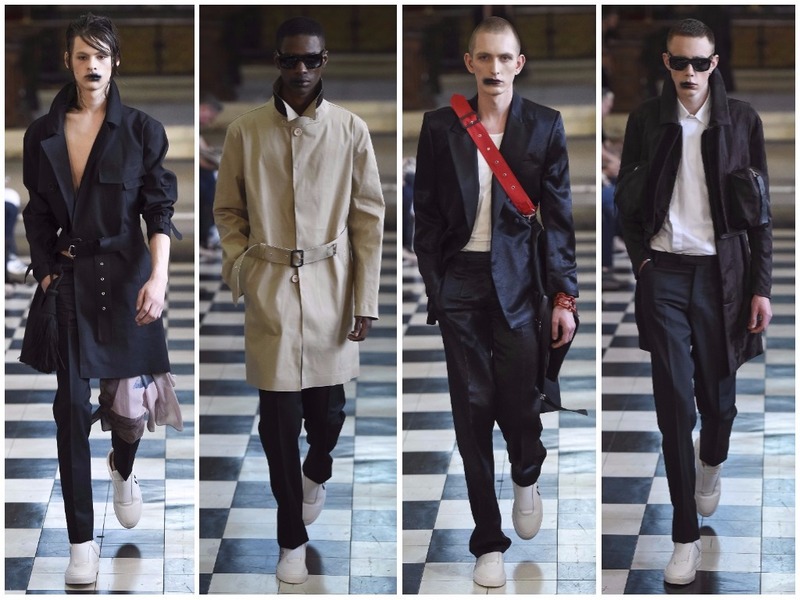 The London-based menswear designer fundamentally sees beauty as a moment in time, such as experiencing “a sense of freedom.” It’s not surprising that his oeuvre has been punctuated by politics since his label’s creation. Whether commenting on the jeopardy of the post-truth world or inciting rebellion on his catwalk, the idea of liberation is integral to his brand. His visual language is channelled through the teenage boy—although distinctly masculine and suitable for a mature audience, Miller’s clothing are modelled around the teenage boy and his interests. For Spring 2018 he catapulted us into a pivotal time in youth culture, the 1990s: subcultural and countercultural movements proliferated; fashion was influenced by the 1960s and 1970s; cult films Kids, The Breakfast Club and Dazed and Confused contemplated what it was to be a teenager. Miller’s approach to the decade was much darker, inspired by underground movements and hence his work was darkly hue, a characteristic precedent. Tailoring was mostly fitted and kept to ‘skinny’ proportions. Slouchy, off-the-shoulder styled jackets were very de nos jours, portraying fashion’s never-ending obsession with nostalgia and the current 1990s fixation. (The epoch connects with the modern generation perfectly: as in the 1990s, teenagers are becoming more and more political and their lives politicised. Sexuality, race, fashion or political statements—teenagers everywhere are galvanised into action and, through Instagram or otherwise, are making their mark on the political landscape.) Leather jackets and skinny trousers; the mostly black and white collection was occasionally lightened with the additional of camel (found in tailored coats) and red accents on accessories. An accessories driven collection, Miller placed focus on leather trainers and on handbags. Much of it seemed similar to the styling at Kim Jones’ Louis Vuitton x Supreme extravaganza back in January. Similarly, the makeup was pastiche: the models’ lips were spray painted black—it had the same ‘just been kissed’ effect as at the Preen by Thornton Bregazzi show at London Fashion Week in February. One of the opening looks screamed Raf Simons, the master of underground-inspired fashion. If one is going to foray into the 1990s, perhaps it’s optimal to avoid a movement endlessly explored by one of fashion’s greats. He presented in St. Sepulchre’s Church, a 15th century Gothic building in London’s Holborn neighbourhood. An elaborately decorative building with impressively ornate interiors conveyed a heightened sense of importance. Securing any ecclesiastical venue signifies scale and power. However, the collection was too commercialistic and swathed in undeveloped subtextual insight. But this is Matthew Miller’s religion, his ever-expanding base of followers are the converted.